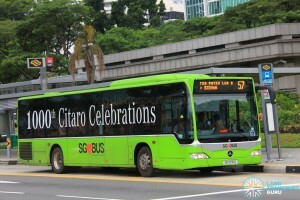 First announced on 11 August 2016, the Bukit Merah Bus Package was the fourth set of public bus services to be put up for tender under the Bus Contracting Model. SBS Transit operated all bus services in this package under a Negotiated Contract (NC) model before transitioning to a Tendered Contract model as the successful tenderer of the Bukit Merah Bus Package. 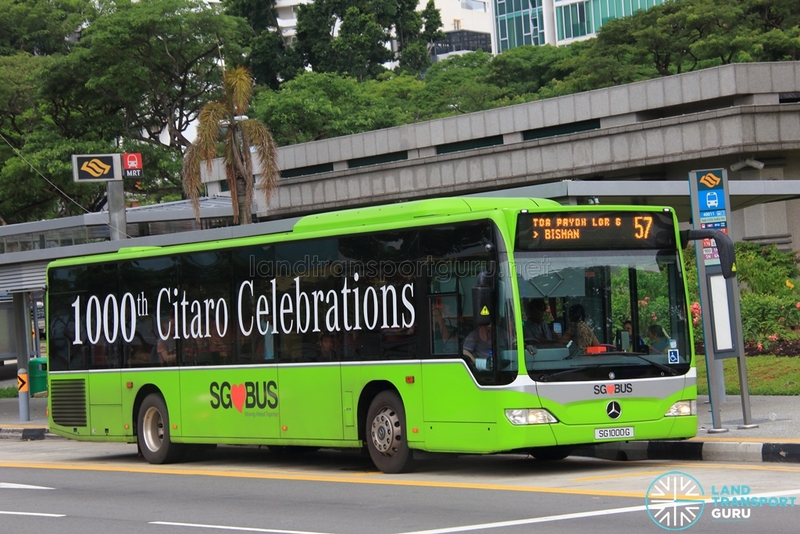 This package comprises 18 existing bus services mainly originating from Bukit Merah, HarbourFront, Kampong Bahru, Queen Street and Shenton Way Bus Interchanges/Terminals, with a minority number of services originating at Buona Vista and Marina Centre Bus Terminals. The route package is one of fourteen bus packages to be released by the Land Transport Authority (LTA) as part of the transition to the Bus Contracting Model (BCM), and crucially covers SBS Transit’s major cross-border operations (Service 160, 170 and 170X). As announced in February 2018, SBS Transit Ltd is the successful tenderer of the Bukit Merah Bus Package, who will receive an estimated total fee of $482 million over five years. 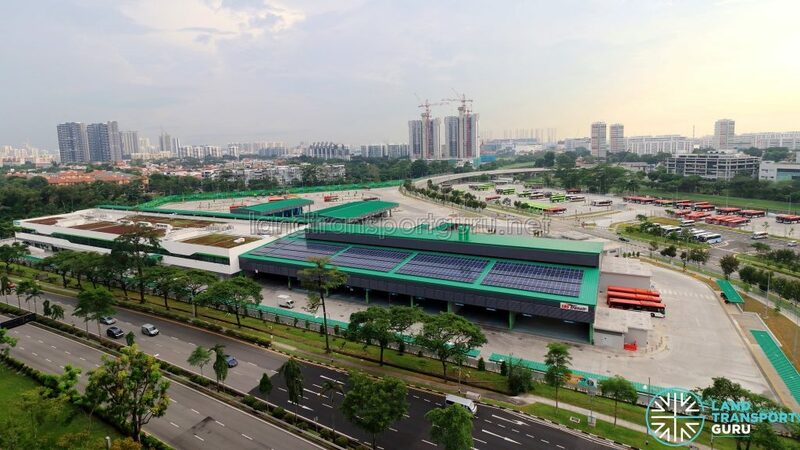 The 18 bus routes is based out of the newly-built new Ulu Pandan Bus Depot, located at Business Park Drive, which was completed in Q1 2018 and is able to accommodate 470 buses. The package will consist of about 340 buses when implemented on 18 November 2018, and will grow to about 390 buses in tandem with new developments and projected growth in ridership. As of the tender closing time, 6 bids were submitted from hopeful operators. On Friday, 23 February 2018, LTA announced SBS Transit Ltd as the winner of the Bukit Merah Bus Package. The evaluation was conducted through a two-envelope process which included quality and price factors, with greater weightage given to the quality proposals submitted by tenderers. As per the LTA press release, SBST was awarded the contract because its proposal demonstrated a comprehensive understanding of the operational considerations, and strong competence in bus service scheduling that would enable the optimal deployment of buses and resources. In addition, SBST’s proposal showcased extensive experience in bus operations, while offering good value for money. It also had comprehensive contingency plans for cross-border services, and committed a significant number of experienced technicians to ensure high maintenance and reliability standards. SBST also demonstrated innovative IT solutions for infrastructure and asset maintenance, as well as security management, with the development of several in-house mobile applications for staff to report defects and incidents. It also presented a career development programme to up-skill its staff, with more opportunities for career progression, the authority said. The alternative proposal awarded involves SBS Transit leveraging on its existing bus fleet and bus depots to optimise bus operations. This involved garaging some buses which operate on Bukit Merah Bus Package bus services at other bus depots; for example, Service 57 is partially garaged at Ang Mo Kio Bus Depot, and 145 is partially garaged at Braddell Bus Park. In addition, several bus services from other Bus Packages operated by SBS Transit also garage at Ulu Pandan Bus Depot, such as Service 95 & 201. SBS Transit introduced iSafe to provide Bus Captains with a complete overview of their driving behaviour using technology as an independent assessor. – SAfe Green Eco System (SAGE), which aims to improve the safety of buses, to monitor the smoothness and comfort of bus rides provided by Bus Captains (BCs). The system records and monitors the BC’s driving behaviour such as speeding and harsh acceleration with feedback given in real-time through audio and visual alerts. The system is provided by TNT Surveillance. SBS Transit also set up a new Bus Technical Specialist Certification Centre (BTSCC) at Ulu Pandan Depot for the Singapore Bus Academy (SGBA). This would enhance the professionalism of engineering and technical staff in the bus industry. SBS Transit’s experienced engineering staff would be involved in curriculum development and conducting assessments and certification. Free WiFi installed on all bus services under the Bukit Merah Bus Package from February 2019. Interactive touchscreen panels at Bukit Merah and Harbourfront Bus Interchanges to provide convenient access to travel information – the panels will display comprehensive and user-friendly information such as bus services, bus departure times, bus routes and locality map. Commuters can also catch up on up-to-date information such as service extension hours, and even routes that are being diverted or delayed. Feedback panels at Bukit Merah and Harbourfront Bus Interchanges near the Passenger Service Office allow commuters to conveniently share immediate feedback on bus interchanges’ facilities such as toilet cleanliness and lighting of the interchanges. This will allow SBS Transit to take corrective action quickly to improve the travel experience. Quarterly Commuter Chat sessions at Bukit Merah and Harbourfront Bus Interchanges for SBS Transit managers to engage commuters and listen to their feedback. Dedicated television screens at Bukit Merah and Harbourfront Bus Interchanges displaying information on local community events and activities to engage residents in the neighbourhood. Mobile charging points for commuters to recharge their devices at bus interchanges. Umbrella dispensers at Bukit Merah and Harbourfront Bus Interchanges (by Nestia) near the Passenger Service Office to allow commuters to borrow umbrellas for free for 24 hours during rainy days via a mobile application. Bukit Merah Bus Package consists of 18 existing bus services, all of which are currently operated by SBS Transit. As a result, there was no operator change to all services. Services 160, 170 & 170X are cross-border bus services. 2016 (11 Aug): Bukit Merah Bus Package mentioned as one of 11 Negotiated Contract (NC) Packages operated by SBS Transit.